Dieser Eintrag wurde veröffentlicht in Biologie, Health, Innovation, Innovatoren und getaggt mit Miniature Robot, MIT am 14. Mai 2016 von innovation. Several evenings a week, after a day’s work at Google headquarters in Mountain View, California, Sergey Brin drives up the road to a local pool. There, he changes into swim trunks, steps out on a 3-meter springboard, looks at the water below, and dives. There’s another benefit as well: With every dive, Brin gains a little bit of leverage—leverage against a risk, looming somewhere out there, that someday he may develop the neurodegenerative disorder Parkinson’s disease. Buried deep within each cell in Brin’s body—in a gene called LRRK2, which sits on the 12th chromosome—is a genetic mutation that has been associated with higher rates of Parkinson’s. Not everyone with Parkinson’s has an LRRK2 mutation; nor will everyone with the mutation get the disease. But it does increase the chance that Parkinson’s will emerge sometime in the carrier’s life to between 30 and 75 percent. (By comparison, the risk for an average American is about 1 percent.) Brin himself splits the difference and figures his DNA gives him about 50-50 odds. That’s where exercise comes in. Parkinson’s is a poorly understood disease, but research has associated a handful of behaviors with lower rates of disease, starting with exercise. One study found that young men who work out have a 60 percent lower risk. Coffee, likewise, has been linked to a reduced risk. For a time, Brin drank a cup or two a day, but he can’t stand the taste of the stuff, so he switched to green tea. (“Most researchers think it’s the caffeine, though they don’t know for sure,” he says.) Cigarette smokers also seem to have a lower chance of developing Parkinson’s, but Brin has not opted to take up the habit. With every pool workout and every cup of tea, he hopes to diminish his odds, to adjust his algorithm by counteracting his DNA with environmental factors. “This is all off the cuff,” he says, “but let’s say that based on diet, exercise, and so forth, I can get my risk down by half, to about 25 percent.” The steady progress of neuroscience, Brin figures, will cut his risk by around another half—bringing his overall chance of getting Parkinson’s to about 13 percent. It’s all guesswork, mind you, but the way he delivers the numbers and explains his rationale, he is utterly convincing. Brin, of course, is no ordinary 36-year-old. As half of the duo that founded Google, he’s worth about $15 billion. That bounty provides additional leverage: Since learning that he carries a LRRK2 mutation, Brin has contributed some $50 million to Parkinson’s research, enough, he figures, to “really move the needle.” In light of the uptick in research into drug treatments and possible cures, Brin adjusts his overall risk again, down to “somewhere under 10 percent.” That’s still 10 times the average, but it goes a long way to counterbalancing his genetic predisposition. It sounds so pragmatic, so obvious, that you can almost miss a striking fact: Many philanthropists have funded research into diseases they themselves have been diagnosed with. But Brin is likely the first who, based on a genetic test, began funding scientific research in the hope of escaping a disease in the first place. In other words, Brin is proposing to bypass centuries of scientific epistemology in favor of a more Googley kind of science. He wants to collect data first, then hypothesize, and then find the patterns that lead to answers. And he has the money and the algorithms to do it. Brin’s faith in the power of numbers—and the power of knowledge, more generally—is likely something he inherited from his parents, both scientists. His father, Michael, is a second-generation mathematician; his mother Eugenia is trained in applied mathematics and spent years doing meteorology research at NASA. The family emigrated from Russia when Brin was 6. At 17, he took up mathematics himself at the University of Maryland, later adding a second major in computer science. 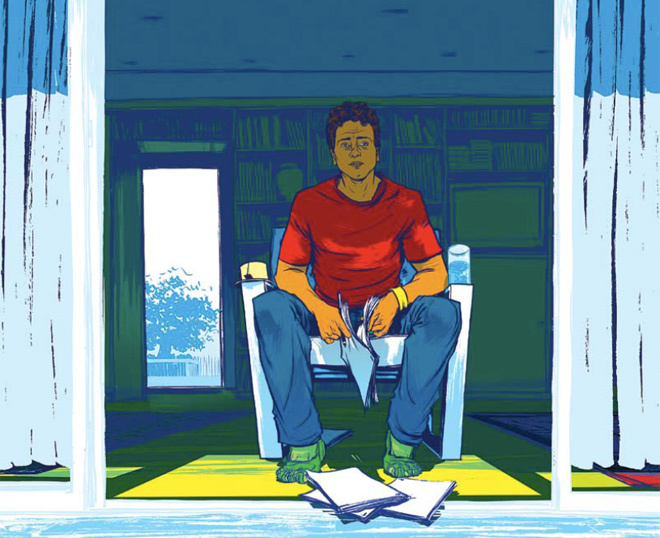 When he reached Stanford for his PhD—a degree he still hasn’t earned, much to his parents’ chagrin—he focused on data mining. That’s when he began thinking about the power of large data sets and what might come of analyzing them for unexpected patterns and insights. At the time, scientific opinion held that Parkinson’s was not hereditary, so Brin didn’t understand his mother’s concern. “I thought it was crazy and completely irrational,” he says. After further tests at Johns Hopkins and the Mayo Clinic, though, she was diagnosed with Parkinson’s in 1999. Even after the LRRK2 connection was made in 2004, Brin still didn’t connect his mother’s Parkinson’s to his own health. Then, in 2006, his wife-to-be, Anne Wojcicki, started the personal genetics company 23andMe (Google is an investor). As an alpha tester, Brin had the chance to get an early look at his genome. He didn’t find much of concern. But then Wojcicki suggested he look up a spot known as G2019S—the notch on the LRRK2 gene where an adenine nucleotide, the A in the ACTG code of DNA, sometimes substitutes for a guanine nucleotide, the G. And there it was: He had the mutation. His mother’s 23andMe readout showed that she had it, too. It’s true that in the early days of the science, genetic testing meant learning about a dreaded degenerative disease like Huntington’s or cystic fibrosis. But these diseases, although easy to identify, are extremely rare. Newer research has shown that when it comes to getting sick, a genetic predisposition is usually just one factor. The vast majority of conditions are also influenced by environment and day-to-day habits, areas where we can actually take some action. But, surprisingly, the concept of genetic information as toxic has persisted, possibly because it presumes that people aren’t equipped to learn about themselves. But research shows this presumption to be unfounded. In 2009, The New England Journal of Medicine published results of the Risk Evaluation and Education for Alzheimer’s Disease study, an 11-year project that sought to examine how people react to finding out that they have a genetic risk for Alzheimer’s. Like Parkinson’s, Alzheimer’s is a neurodegenerative condition centering on the brain. But unlike Parkinson’s, Alzheimer’s has no known treatment. So learning you have a genetic predisposition should be especially toxic. In the study, a team of researchers led by Robert Green, a neurologist and geneticist at Boston University, contacted adults who had a parent with Alzheimer’s and asked them to be tested for a variation in a gene known as ApoE. Depending on the variation, an ApoE mutation can increase a person’s risk for Alzheimer’s from three to 15 times the average. One hundred sixty-two adults agreed; 53 were told they had the mutation. 1. Hypothesis: An early study suggests that patients with Gaucher’s disease (caused by a mutation to the GBA gene) might be at increased risk of Parkinson’s. 2. Studies: Researchers conduct further studies, with varying statistical significance. 3. Data aggregation: Sixteen centers pool information on more than 5,500 Parkinson’s patients. 4. Analysis: A statistician crunches the numbers. 5. Writing: A paper is drafted and approved by 64 authors. 6. Submission: The paper is submitted to The New England Journal of Medicine. Peer review ensues. 7. Acceptance:NEJM accepts the paper. 8. Publication: The paper notes that people with Parkinson’s are 5.4 times more likely to carry the GBA mutation. 1. Tool Construction: Survey designers build the questionnaire that patients will use to report symptoms. 2. Recruitment: The community is announced, with a goal of recruiting 10,000 subjects with Parkinson’s. 3. Data aggregation: Community members get their DNA analyzed. They also fill out surveys. 4. Analysis: Reacting to the NEJM paper, 23andMe researchers run a database query based on 3,200 subjects. The results are returned in 20 minutes. 5. Presentation: The results are reported at a Royal Society of Medicine meeting in London: People with GBA are 5 times more likely to have Parkinson’s, which is squarely in line with the NEJM paper. The finding will possibly be published at a later date. His frustration is well founded. For decades, Parkinson’s research has been a poor cousin to the study of Alzheimer’s, which affects 10 times as many Americans and is therefore much more in the public eye. What is known about Parkinson’s has tended to emerge from observing patients in clinical practice, rather than from any sustained research. Nearly all cases are classified as idiopathic, meaning there’s no known cause. Technically, the disease is a result of the loss of brain cells that produce the neurotransmitter dopamine, but what causes those cells to die is unclear. The classic symptoms of the condition—tremors, rigidity, balance problems—come on gradually and typically don’t develop until dopamine production has declined by around 80 percent, meaning that a person can have the disease for years before experiencing the first symptom. There are, however, some areas of promise—including the 2004 discovery of the LRRK2 connection. It’s especially common among people of Ashkenazi descent, like Brin, and appears in just about 1 percent of Parkinson’s patients. Rare as the mutation is, however, LRRK2 cases of Parkinson’s appear indistinguishable from other cases, making LRRK2 a potential window onto the disease in general. LRRK2 stands for leucine-rich repeat kinase. Kinases are enzymes that activate proteins in cells, making them critical to cell growth and death. In cancer, aberrant kinases are known to contribute to tumor growth. That makes them a promising target for research. Drug companies have already developed kinase inhibitors for cancer; it’s a huge opportunity for Parkinson’s treatment, as well: If overactive kinases interfere with dopamine-producing cells in all Parkinson’s cases, then a kinase inhibitor may be able to help not just the LRRK2 carriers but all people with the disease. Another promising area for research is that delay between the loss of dopamine-producing cells and the onset of symptoms. As it stands, this lag makes treatment a much more difficult problem. “By the time somebody has full-blown Parkinson’s, it’s way too late,” Langston says. “Any number of promising drugs have failed, perhaps because we’re getting in there so late.” But doctors can’t tell who should get drugs earlier, because patients are asymptomatic. If researchers could find biomarkers—telltale proteins or enzymes detected by, say, a blood or urine test—that were produced before symptoms emerged, a drug regimen could be started early enough to work. As Brin’s understanding of Parkinson’s grew, though, and as he talked with Wojcicki about research models, he realized that there was an even bolder experiment in the offing. In 1899, scientists at Bayer unveiled Aspirin, a drug it offered as an effective remedy for colds, lumbago, and toothaches, among other ills. How aspirin—or acetylsalicylic acid—actually worked was a mystery. All people knew was that it did (though a discouraging side effect, gastric bleeding, emerged in some people). It wasn’t until the 1960s and ’70s that scientists started to understand the mechanism: Aspirin inhibits the production of chemicals in the body called prostaglandins, fatty acids that can cause inflammation and pain. That insight proved essential to understanding the later discovery, in 1988, that people who took aspirin every other day had remarkably reduced rates of heart attack—cases in men dropped by 44 percent. When the drug inhibits prostaglandins, it seems, it inhibits the formation of blood clots, as well—reducing the risk of heart attack or stroke. The second coming of aspirin is considered one of the triumphs of contemporary medical research. But to Brin, who spoke of the drug in a talk at the Parkinson’s Institute last August, the story offers a different sort of lesson—one drawn from that period after the drug was introduced but before the link to heart disease was established. During those decades, Brin notes, surely “many millions or hundreds of millions of people who took aspirin had a variety of subsequent health benefits.” But the association with aspirin was overlooked, because nobody was watching the patients. “All that data was lost,” Brin said. But a problem emerges as the data in a basket become less uniform. This was the focus of much of Brin’s work at Stanford, where he published several papers on the subject. One, from 1997, argued that given the right algorithms, meaningful associations can be drawn from all sorts of unconventional baskets—”student enrollment in classes, word occurrence in text documents, users’ visits of Web pages, and many more.” It’s not a stretch to say that our experiences as patients might conceivably be the next item on the list. This computing power can be put to work to answer questions about health. As an example, Brin cites a project developed at his company’s nonprofit research arm, Google.org. Called Google Flu Trends, the idea is elegantly simple: Monitor the search terms people enter on Google, and pull out those words and phrases that might be related to symptoms or signs of influenza, particularly swine flu. Brin’s tolerance for “noisy data” is especially telling, since medical science tends to consider it poisonous. Biomedical researchers often limit their experiments to narrow questions that can be rigorously measured. But the emphasis on purity can mean fewer patients to study, which results in small data sets. That limits the research’s “power”—a statistical term that generally means the probability that a finding is actually true. And by design it means the data almost never turn up insights beyond what the study set out to examine. Increasingly, though, scientists—especially those with a background in computing and information theory—are starting to wonder if that model could be inverted. Why not start with tons of data, a deluge of information, and then wade in, searching for patterns and correlations? This is what Jim Gray, the late Microsoft researcher and computer scientist, called the fourth paradigm of science, the inevitable evolution away from hypothesis and toward patterns. Gray predicted that an “exaflood” of data would overwhelm scientists in all disciplines, unless they reconceived their notion of the scientific process and applied massive computing tools to engage with the data. “The world of science has changed,” Gray said in a 2007 speech—from now on, the data would come first. Gray’s longtime employer, Bill Gates, recently made a small wager on the fourth paradigm when he invested $10 million in Schrödinger, a Portland, Oregon-based firm that’s using massive computation to rapidly simulate the trial and error of traditional pharmaceutical research. Langston offers a case in point. Last October, the New England Journal of Medicine published the results of a massive worldwide study that explored a possible association between people with Gaucher’s disease—a genetic condition where too much fatty substances build up in the internal organs—and a risk for Parkinson’s. The study, run under the auspices of the National Institutes of Health, hewed to the highest standards and involved considerable resources and time. After years of work, it concluded that people with Parkinson’s were five times more likely to carry a Gaucher mutation. This approach—huge data sets and open questions—isn’t unknown in traditional epidemiology. Some of the greatest insights in medicine have emerged from enormous prospective projects like the Framingham Heart Study, which has followed 15,000 citizens of one Massachusetts town for more than 60 years, learning about everything from smoking risks to cholesterol to happiness. Since 1976, the Nurses Health Study has tracked more than 120,000 women, uncovering risks for cancer and heart disease. These studies were—and remain—rigorous, productive, fascinating, even lifesaving. They also take decades and demand hundreds of millions of dollars and hundreds of researchers. The 23andMe Parkinson’s community, by contrast, requires fewer resources and demands far less manpower. Yet it has the potential to yield just as much insight as a Framingham or a Nurses Health. It automates science, making it something that just … happens. To that end, later this month 23andMe will publish several new associations that arose out of their main database, which now includes 50,000 individuals, that hint at the power of this new scientific method. 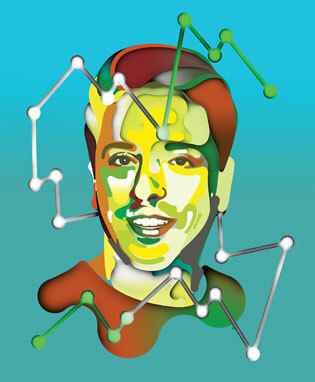 Sergey Brin is different. Few people have the resources to bend the curve of science; fewer still have spouses who run genetics companies. Given these circumstances and his data-driven mindset, Brin is likely more comfortable with genetic knowledge than most of us. And few people are going to see their own predicament as an opportunity to forge a new sort of science. So yeah, he’s different. As the cost of sequencing drops and research into possible associations increases, whole genome sequencing will become a routine part of medical treatment, just as targeted genetic tests are a routine part of pregnancy today. The issue won’t be whether to look; it will be what to do with what’s found. So, too, will it go with DNA. We’ll all find out about our propensities for disease in great detail and be compelled to work our own algorithms to address that risk. In many cases, this will be straightforward. There will be things we can do today and treatments we can undergo tomorrow. But in some cases, undoubtedly, we may find ourselves in a circumstance like Brin’s, with an elevated risk for a disease with no cure. So we’ll exercise more, start eating differently, and do whatever else we can think of while we wait for science to catch up. In that way, Brin’s story isn’t just a billionaire’s tale. It’s everyone’s. 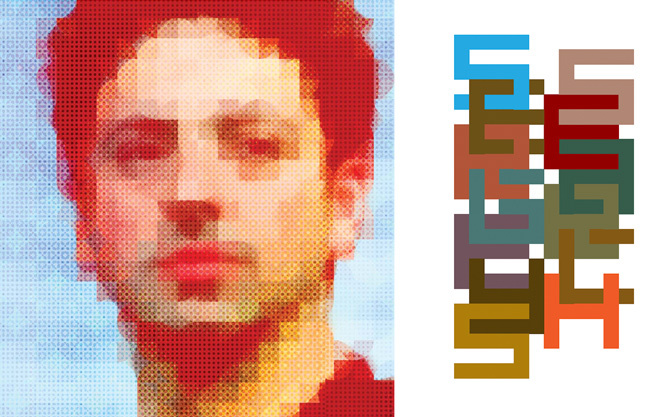 Dieser Eintrag wurde veröffentlicht in Health und getaggt mit LRRK2, Parkinson, Sergey Brin am 23. November 2015 von innovation. 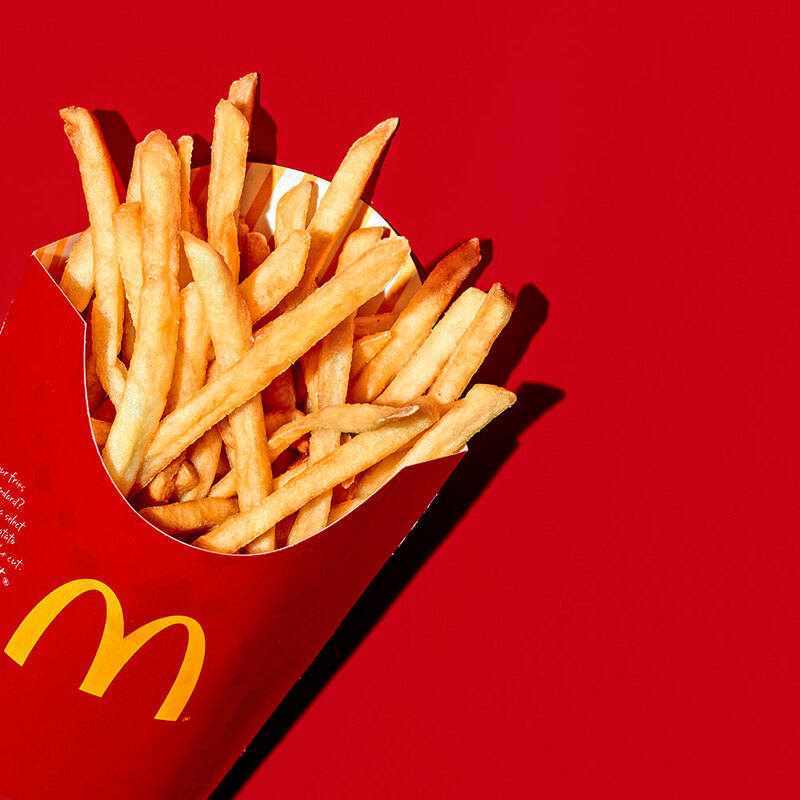 What Is inside McDonalds‘ French Fries? Mickey D’s uses varieties like the Russet Burbank, which have a nice oval shape and just the right balance of starch and sugar. Excess sugar can cause a fry to have brown spots where it’s over-caramelized, leaving a burnt taste and deviating from the uniform yellow-arches color. Just in case, the spuds are blanched after slicing, removing surplus sugar. Taters can turn a nasty hue even after they’re fried—iron in the spud reacts with the potato’s phenolic compounds, discoloring the tissue. The phosphate ions in SAPP trap the iron ions, stalling the reaction and keeping the potatoes nice and white throughout the process. In the good old days, McDonald’s fries were cooked in beef tallow. But customer demand for less saturated fat prompted a switch to vegetable oil in the early ’90s. Here, that means oils of varying saturations combined into something reminiscent of beef tallow. There’s canola (about 8 percent saturated fat), soybean oil (16 percent), and hydrogenated soybean oil (94 percent). And to replace the essence of beef tallow? “Natural beef flavor,” which contains hydrolyzed wheat and milk proteins that could be a source of meaty-tasting amino acids. That’s right, the fries get two batches of vegetable oil—one for par-frying at the factory and another for the frying bath on location. The second one adds corn oil and an additive called TBHQ, or tertbutylhydroquinone, which at high doses can cause nasty side effects in rats (mmmm … stomach tumors). McDonald’s uses this oil for all its frying, so the stuff usually sits around in big vats, which means it can go rancid as oxygen plucks hydrogens from lipids. TBHQ acts as an antioxidant, replacing those pilfered hydrogens with its own supply. A brief dip in a corn-based sugar solution replaces just enough of the natural sweet stuff that was removed by blanching. The result is a homogeneous outer layer that caramelizes evenly. You’ll add more sugar later when you squirt on the ketchup. Sprinkled on just after frying, the crystals are a uniform diameter—just big enough to get absorbed quickly by crackling-hot oil. Now add ketchup and you’ve achieved the hedonistic trifecta: fat, salt, and sugar. Dieser Eintrag wurde veröffentlicht in Biologie, Health und getaggt mit beef tallow, Dextrose, McDonalds, Pyrophosphate, Russet Burbank, Sodium Acid, SODIUM ACID PYROPHOSPHATE, soybean oil, vegetable oil am 17. Juli 2014 von innovation. Phlebotomy. Even the word sounds archaic—and that’s nothing compared to the slow, expensive, and inefficient reality of drawing blood and having it tested. As a college sophomore, Elizabeth Holmes envisioned a way to reinvent old-fashioned phlebotomy and, in the process, usher in an era of comprehensive superfast diagnosis and preventive medicine. That was a decade ago. 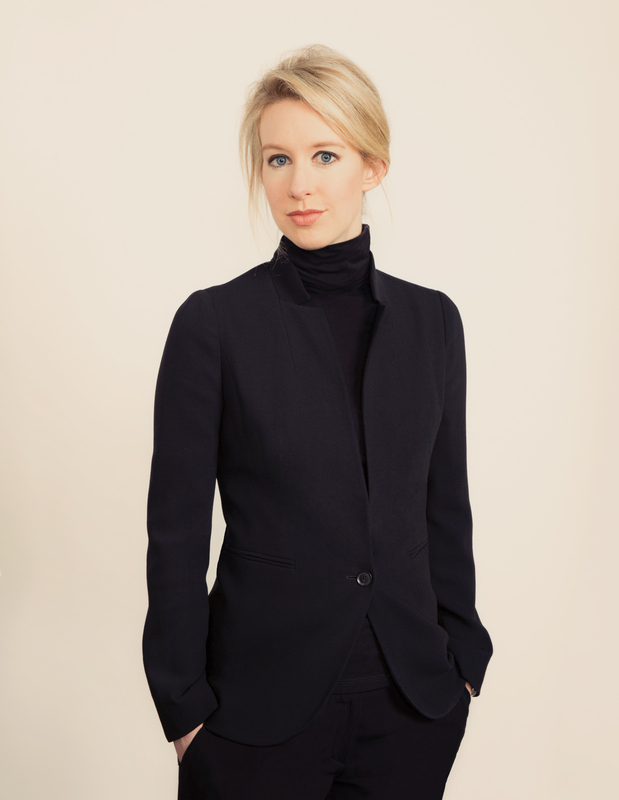 Holmes, now 30, dropped out of Stanford and founded a company called Theranos with her tuition money. Last fall it finally introduced its radical blood-testing service in a Walgreens pharmacy near company head­quarters in Palo Alto, California. (The plan is to roll out testing centers nation­wide.) 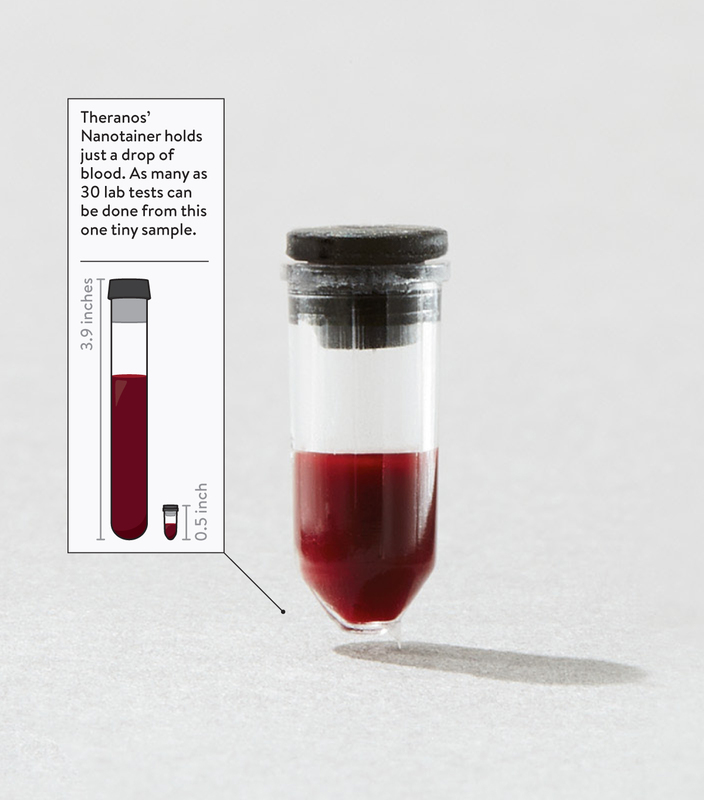 Instead of vials of blood—one for every test needed—Theranos requires only a pinprick and a drop of blood. With that they can perform hundreds of tests, from standard cholesterol checks to sophisticated genetic analyses. The results are faster, more accurate, and far cheaper than conventional methods. The implications are mind-blowing. With inexpensive and easy access to the infor­mation running through their veins, people will have an unprecedented window on their own health. And a new generation of diagnostic tests could allow them to head off serious afflictions from cancer to diabetes to heart disease. None of this would work if Theranos hadn’t figured out how to make testing trans­parent and inexpensive. The company plans to charge less than 50 percent of the standard Medicare and Medicaid reimbursement rates. And unlike the rest of the testing industry, Theranos lists its prices on its website: blood typing, $2.05; cholesterol, $2.99; iron, $4.45. If all tests in the US were performed at those kinds of prices, the company says, it could save Medicare $98 billion and Medicaid $104 billion over the next decade. What was your goal in starting a lab-testing company? We wanted to make actionable health information accessible to people everywhere at the time it matters most. That means two things: being able to detect conditions in time to do something about them and providing access to information that can empower people to improve their lives. There are a billion tests done every year in the United States, but too many of them are done in the emergency room. If you were able to do some of those tests before a person gets checked into the ER, you’d start to see problems earlier; you’d have time to intervene before a patient needed to go to the hospital. If you remove the biggest barriers to these tests, you’ll see them used in smarter ways. What was your motivation to launch Theranos at the age of 19? What set you on this road? I definitely am afraid of needles. It’s the only thing that actually scares me. But I started this company because I wanted to spend my life changing our health care system. When someone you love gets really sick, most of the time when you find out, it’s too late to be able to do something about it. It’s heartbreaking. You’re not alone in your fear of needles. Phlebotomy is such a huge inhibitor to people getting tested. Some studies say that a substantive percentage of patients who get a lab requisition don’t follow through, because they’re scared of needles or they’re afraid of worrying, waiting to hear that something is wrong. We wanted to make this service convenient, to bring it to places close to people’s homes, and to offer rapid results. Why the focus on rapid results? We can get results, on average, in less than four hours. And this can be very helpful for doctors and patients, because it means that someone could, for example, go to a Walgreens in the morning to get a routine test for something their doctor is tracking, and the physician can have the results that afternoon when they see the patient. And we’re able to do all the testing using just a single microsample, rather than having to draw a dedicated tube for each type of test. So if I got a blood test and my doctor saw the results and wanted other tests done, I wouldn’t have to have more blood drawn? Exactly. And on their lab form, the physician can write, “If a given result is out of range, run this follow-up test.” And it can all be done immediately, using that same sample. Some conventional tests, like pH assays, can be done quickly. Others, like those that require culturing bacteria or viruses, can take days or even weeks. Are there some tests that take Theranos longer? Can everything really be turned around in four hours? Yes, we had to develop assays or test methodologies that would make it possible to accelerate results. So we do not do things like cultures. In the case of a virus or bacteria, traditionally tested using a culture, we measure the DNA of the pathogen instead so we can report results much faster. Where do you see this making a big difference? Fertility testing is a good example. Most people pay for it out of pocket, and it can cost as much as $2,000. These tests provide the data you need to figure out someone’s fertility, and some women can’t afford them. Our new fertility panel is going to cost $35. That means women will be able to afford the tests. They’ll be able to better manage the process and take some of the stress out of trying to conceive. How can improved processes actually save lives? We’ve created a tool for physicians to look at lab-test data over time and see trends. We don’t usually think about lab data this way today. It’s “Are you in range, or are you out of range?” Instead, we like to think, “Where are you going?” If you showed me a single frame from a movie and asked me to tell you the story, I wouldn’t be able to do it. But with many frames, you can start to see the movie unfold. How else can you use this technology? Many, many years of work went into making this possible. We started our business working with pharmaceutical companies. Because we made it possible to get data much faster, they could use our infrastructure to run clinical trials. They were also able to run what’s called an adaptive clinical trial, where based on the data, they could change the dosing for a patient in real time or in a premeditated way, as opposed to waiting a long period and then deciding to change a dose. 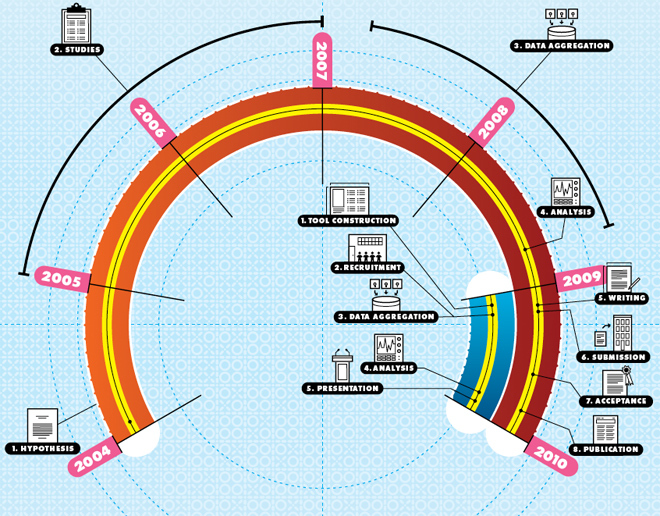 In the long run, what impact will your technology have? The dream is to be able to help contribute to the research that’s going on to identify cancer signatures as they change over time, to help intervene early enough to do something about an illness. Dieser Eintrag wurde veröffentlicht in Health und getaggt mit Blood, Blood Testing, Elizabeth Holmes, Health, Theranos am 2. März 2014 von innovation. „Taking a nap, we’ve seen time and again, is like rebooting your brain. Everyone likes to get a quick nap in every now and then, but napping may be as much of an art as it is a science. 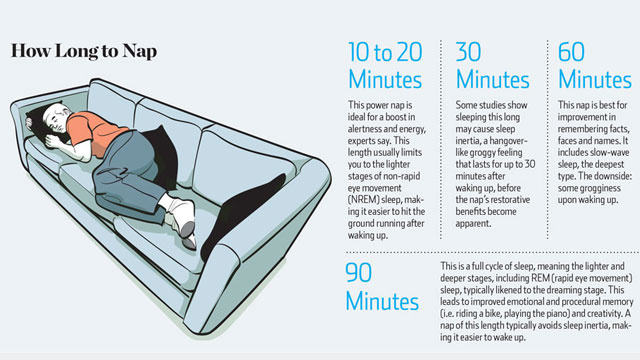 The Wall Street Journal offers recommendations for planning your perfect nap, including how long to nap and when. The sleep experts in the article say a 10-to-20-minute power nap gives you the best “bang for your buck,” but depending on what you want the nap to do for you, other durations might be ideal. For a quick boost of alertness, experts say a 10-to-20-minute power nap is adequate for getting back to work in a pinch. For cognitive memory processing, however, a 60-minute nap may do more good, Dr. Mednick said. Including slow-wave sleep helps with remembering facts, places and faces. The downside: some grogginess upon waking. Finally, the 90-minute nap will likely involve a full cycle of sleep, which aids creativity and emotional and procedural memory, such as learning how to ride a bike. Waking up after REM sleep usually means a minimal amount of sleep inertia, Dr. Mednick said. In fact, a study published in PubMed in 2002 found that napping even for 5-10 minutes creates a heightened sense of alertness and increased cognitive ability in comparison to no nap. So really, you want to be taking a 10-20 minute nap for a quick recharge, or a 60-90 minute nap for a deep sleep rejuvenation. Dieser Eintrag wurde veröffentlicht in Health und getaggt mit deep sleep, Health, minute nap, power nap, Sleep am 19. Februar 2014 von innovation.